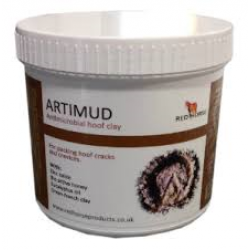 Urban Horse promotes Artimud Antimicrobial Hoof Clay / Putty by Red Horse Products. Available in a handy 190ml and 500ml tub. 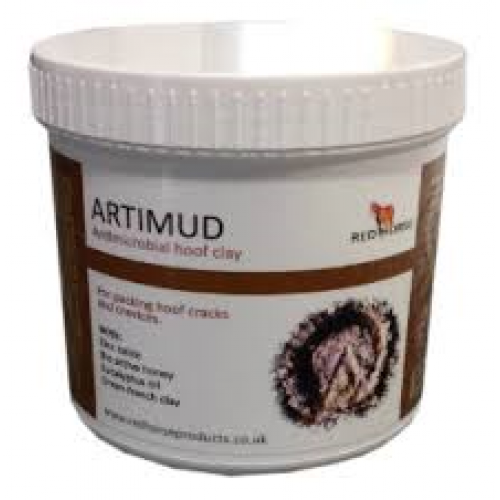 Artimud is a clay based anticirobial hoof putty that packs hoof cracks and crevices. It is a fantastic maleable clay that replicates the mud that will stick in your horse / ponies hooves to aid healing. It can be smoothed, rolled, squashed, spread and moulded to stay in the area it was put. Its active antimicrobial and healing agents produce an environment that bacteria and fungus cannot grow in but also to promote formation of healthy tissue. Use Artimud in shallower, more open holes / cracks and Hoof Stuff in deeper, tighter ones.